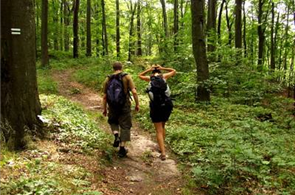 Couples looking to venture on a quick getaway can enjoy good outdoor weather while walking the many trails around downtown Eureka Springs or at the city park, Lake Leatherwood. Lots of shopping, spa discount packages, and nightlife to choose from. “Phunkberry Music Festival” a new outdoor music festival in Eureka Springs is coming up May 7- May 10. Check out lineup and tickets here. Intrigue Theater is also another amazing show of Illusion and Mystery that will leave you guessing how they did it! Opening May 22 this season at Gavioli Theater. View more info. 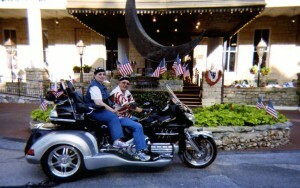 Bikers love the winding roads leading towards Eureka Springs. Bik er friendly hotels are designed to accommodate the riders with comfortable rooms and amenities, discounts on spa services or dining, and locked and covered parking. View Eureka Springs Ride Maps.